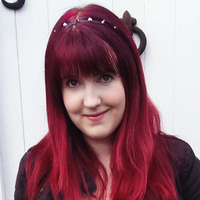 today I’m delighted to share with you another interview with a debut YA author! Meet Mackenzi Lee, author of THIS MONSTROUS THING (coming 22d September 2015 from Katherine Tegen Books, an imprint of HarperCollins). 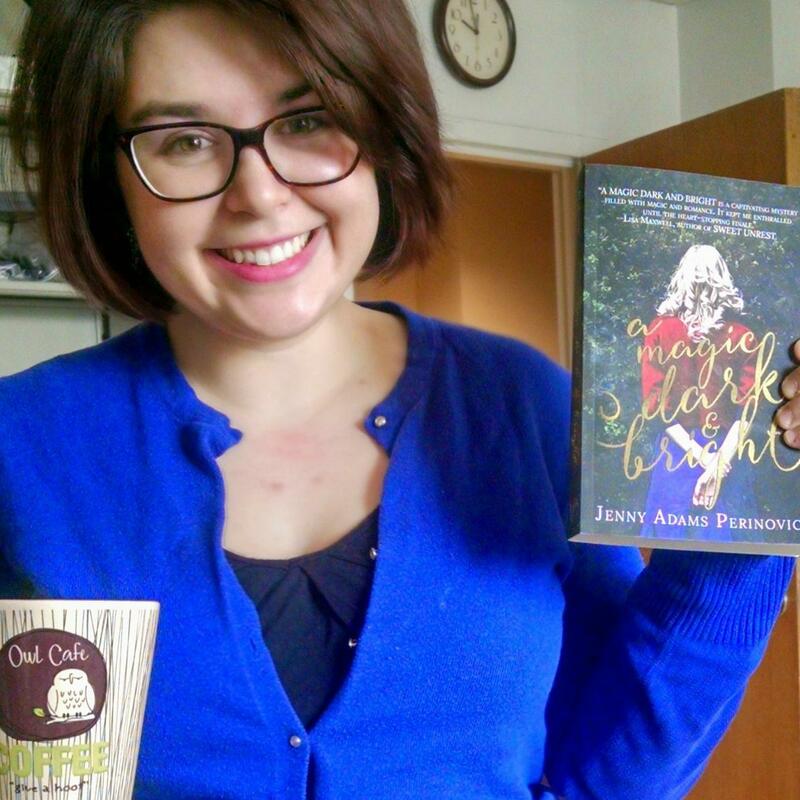 Mackenzi Lee is a reader, writer, bookseller, unapologetic fangirl, and fast talker. 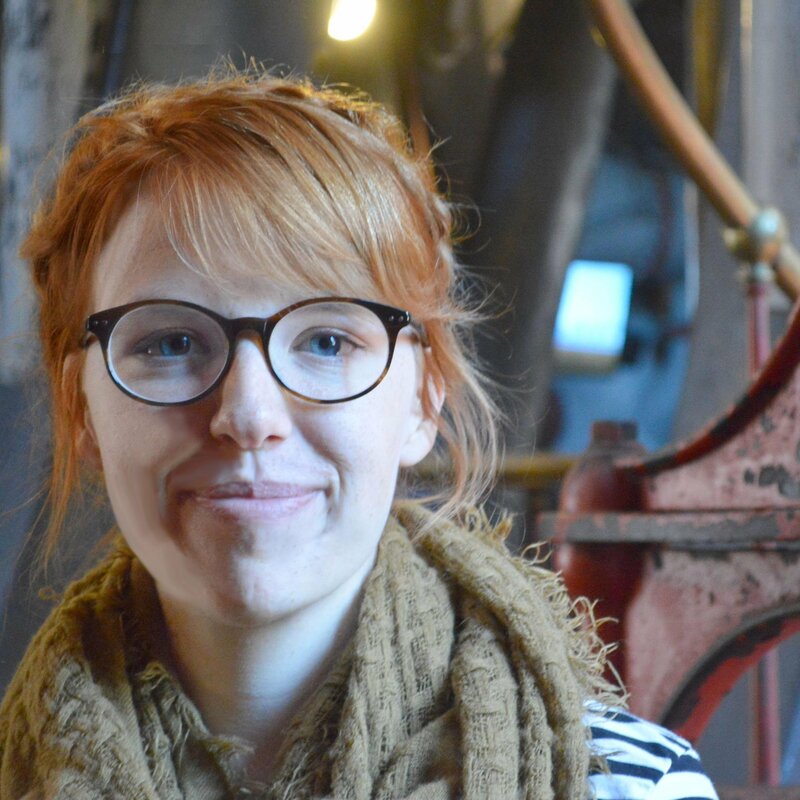 She holds an MFA from Simmons College in writing for children and young adults, and her short fiction for children and teens has appeared in Inaccurate Realities, The Friend, and The Newport Review. 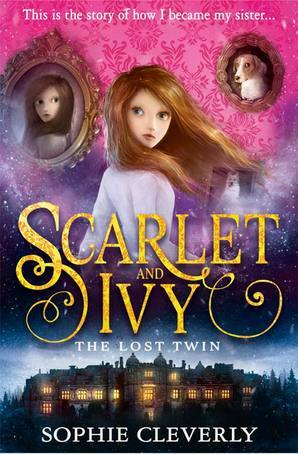 Her young adult historical fantasy novel, THIS MONSTROUS THING, which won the PEN-New England Susan P. Bloom Children’s Book Discovery Award, as well as an Emerging Artist Grant from the St. Botolph Club Foundation, will be published on September 22, 2015 by Katherine Tegen Books, an imprint of HarperCollins. She loves Diet Coke, sweater weather, and Star Wars. On a perfect day, she can be found enjoying all three. She currently calls Boston home. Definitely not–when I was in high school I wanted to be an actress, I majored in history in college, and worked in children’s theater and public radio before I found my way to writing. When I was young, I wrote a lot, and in high school I wrote fanfiction and terrible poetry. But I never really thought about being a writer as a career until I was living in the UK and doing a lot of traveling. Since I spent a lot of time in airports and bus stations, I started reading for fun for the first time since I was in middle school. And it was so much fun that it reminded me how reading as a kid had inspired me to write. So I started writing, sort of for the first time and sort of again. So for the first time again. I am not–I actually have two other jobs (lucky for me, both are book related). So I do a lot of writing late at night and on weekends and on my lunch breaks. I am lucky enough to be part of a community called the Writer’s Room of Boston, which gives me a space to write, so I do a lot of work from the sixth story of an old skyscraper near the harbor, looking out on a fire escape that is so picture perfect I want to climb out on it with my ukulele and sing Moon River. I also do a fair amount of writing in bed. Because tired. The number one big thing is to remember that everyone’s path is different. There is no one right way to get published, or one path, and other people’s’ journey is no indication of what yours will be. The second big thing is to remember that everything you write counts, even if it doesn’t get published. I have three or four or five practice novels I wrote before THIS MONSTROUS THING. I have a book that I signed with my agent with that was on sub for a year and never sold. It’s hard not to think of all the time I spent on these projects that will never do anything but sit on my hard drive as wasted time, but it’s not. I couldn’t have written TMT without writing them first. Writing is like playing an instrument–no one sits down at the piano and expects to be good right off the bat. You have to practice, and that practice isn’t wasted time. And third, remember that it’s not a race. You don’t have an expiration date on you. You aren’t running out of time to get published. I know it feels that way–trust me, I know. And I know it feels like good things are happening to everyone but you. There will be days you will go on Twitter and feel like everyone has an agent and everyone has a book deal but you. But the good thing is, it’s not a race. There aren’t a finite number of books that can be published. You don’t get a countdown clock attached to you as soon as you start trying to be traditionally published. This thing takes time. THIS MONSTROUS THING was inspired by Mary Shelley’s Frankenstein, how did you come up with the idea for it? My novels never have a single inception moment, so TMT came from a lot of places: seeing a production of Frankenstein at the National Theater in London that changed my perspective on the book, traveling to Germany and France at Christmas time, learning the story behind Mary Shelley writing Frankenstein. And, probably most importantly, a lifetime of being the volatile older half of a pair of siblings. Do you listen to music when you write? If yes, what did you listen to when writing THIS MONSTROUS THING? I do listen to music! A lot of TMT was written to the album The Life of the World To Come by the Mountain Goats, which is very biblical (each song has a corresponding scripture) and has lots of life and death and resurrection imagery, so it was very appropriate for a book based on a book based on the Bible. My favorite song from the album is Genesis 30:3 and Psalm 40:2 (which has the oh so appropriate line “Send me a mechanic if I’m not beyond repair”). Some other highlights from the TMT mixtape: Autoclave by The Mountain Goats, Mary by Noah and the Whale, Empty Rocking Chair by Parsonsfield, After the Bombs by the Decembrists, Don’t You Want to Share the Guilt? by Kate Nash, A Girl, A Boy, and a Graveyard by Jeremy Messersmith, Lies by the Swell Season, Machine by Regina Spektor, One More Time with Feeling by Regina Spektor, and the Boxer by Simon and Garfunkel. I try to find songs with lyrics that mirror elements of the story, and all of these do. I have another book coming out with Katherine Tegen/HarperCollins, so I’m hard at work on that! It is unrelated to TMT–but it is another standalone historical fantasy (or industrial fantasy, if you prefer, because there is lots of metal. Or historical fanfiction, which is what I’m starting to call my work). 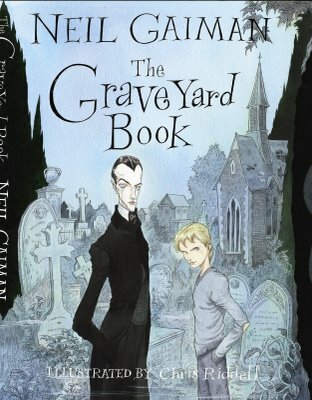 It’s set in 1893 Chicago and is about a bisexual boy with a metal-based superpower. I’m also working on a manuscript set during the Dutch tulip mania in 1637, about first love and gender identity. For great historical fiction, Code Name Verity by Elizabeth Wein (also happens to be my favorite book). For steampunk, Leviathan by Scott Westerfeld. For Frankenstein, This Dark Endeavour and Such Wicked Intent by Kenneth Oppel. For Mary Shelley, The Lady and Her Monsters by Roseanne Montillo. And some current favorites that have nothing to do with TMT: Zeroboxer by Fonda Lee, The Weight of Feathers by Anna-Marie McLemore, Bones & All by Camille DeAngelis, The Game of Love and Death by Martha Brockenbrough, Conviction by Kelly Loy Gilbert, Virginia Wolf by Kyo Maclear, and Drift & Dagger by Kendall Kulper. 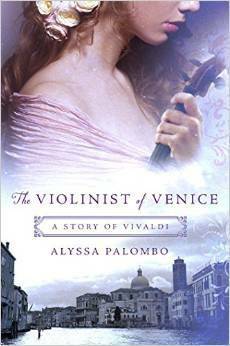 today I’m waiting on THE VIOLINIST OF VENICE by Alyssa Palombo (expected publication: December 15th 2015 by St. Martin’s Griffin). 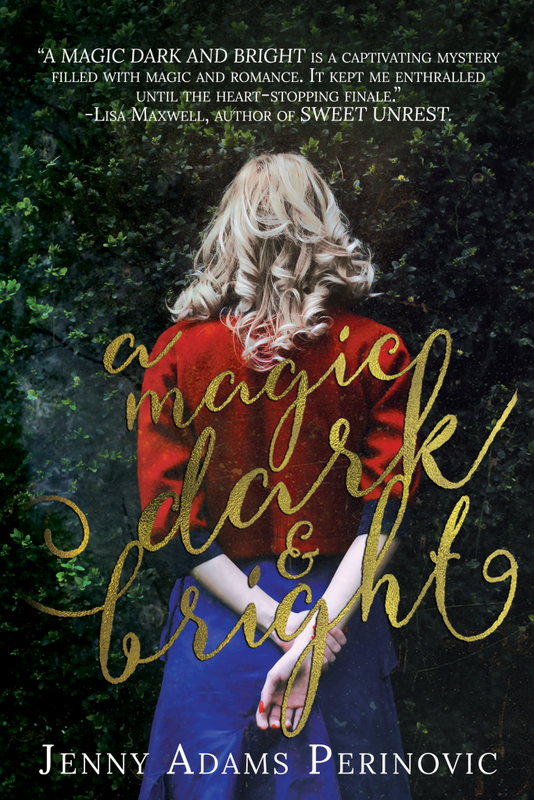 It’s a Historical debut set in 18th Century Venice which sounds right up my alley! 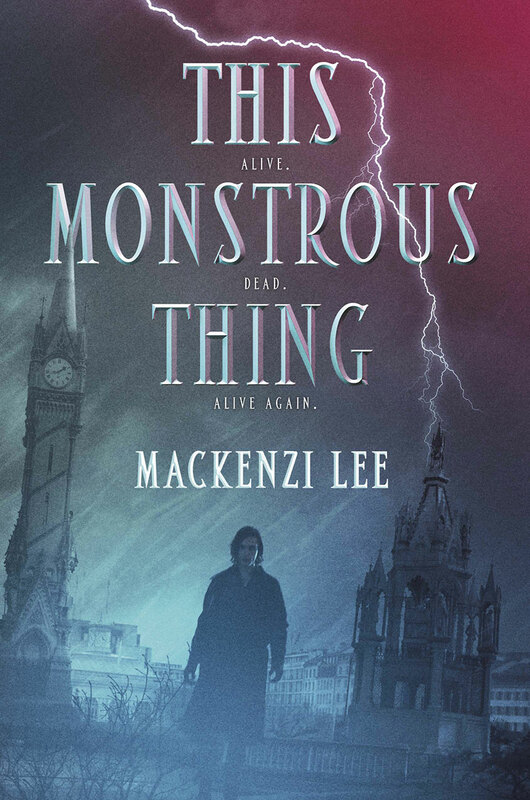 today I’m waiting on THIS MONSTROUS THING by Mackenzi Lee (expected publication: September 22nd 2015 by Katherine Tegen Books). 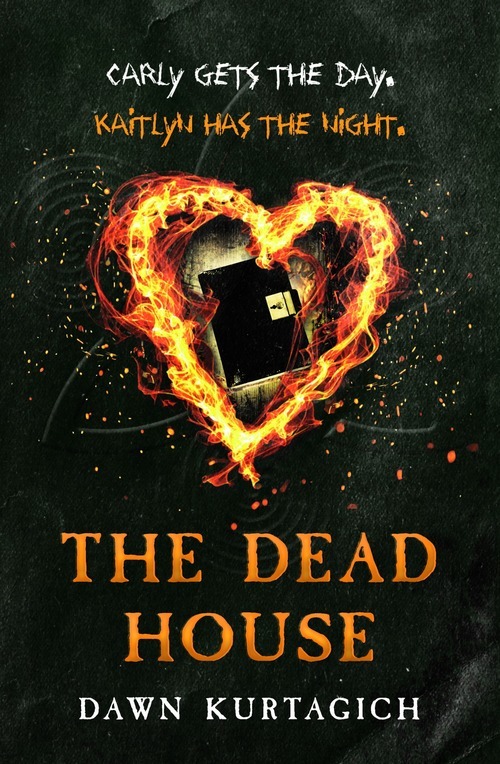 It’s a YA Historical Fantasy and a reimagining of Frankenstein. I’ve been waiting for this book since the book deal was announced on Publishers Weekly, which is to say… forever. I’m so looking forward to its release!